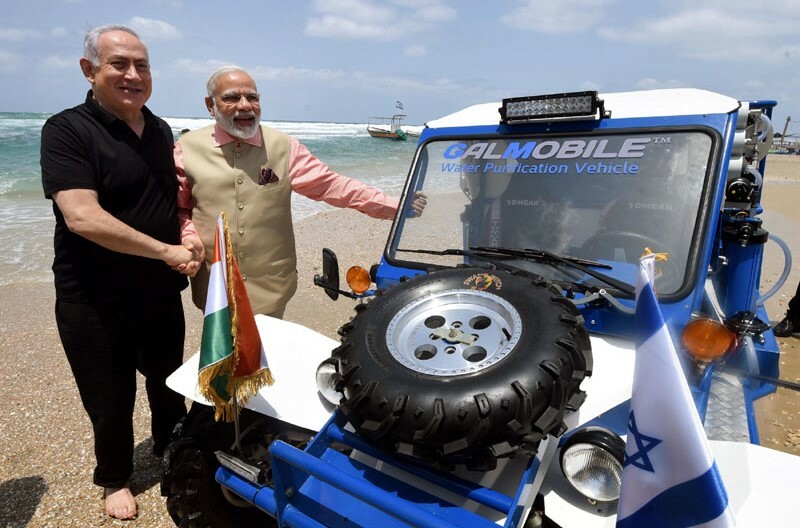 Prime Minister of India, Narendra Modi and the Prime Minister of Israel, Benjamin Netanyahu attend a demonstration of Gal-Mobile water filtration plant at the Olga Beach, in Israel on July 06, 2017. The Prime Ministers signed over 7 Memorandum of Understandings (MoUs) for cooperation on environment, agriculture and technology related matters. 1 MoU between the Department of Science & Technology, India and National Technological Innovation Authority, Israel for setting up of India-Israel Industrial R&D and Technological Innovation Fund (I4F).